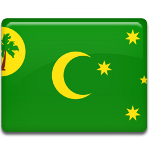 Act of Self Determination Day is a public holidays in the Cocos (Keeling) Islands celebrated on April 6. On this day in 1984, the referendum of self-determination of the archipelago was held. The Territory of the Cocos Islands is one of the external territories of Australia. It is administered by the federal government. The archipelago got its currents status in 1984, following a referendum. The Cocos Islands were discovered in 1609 by Captain William Keeling of the East India Company. The first settlements were founded there in the early 19th century. In 1857, the British Empire annexed the archipelago. The islands were controlled by the Clunies-Ross family. In 1955, the Cocos Islands were transferred to Australian control. The Australian government was dissatisfied with the feudal style of rule of the Clunies-Ross. In 1983, John Clunies-Ross was asked to leave the island. The Australian government started preparations for the referendum of self-determination. The referendum was held on April 6, 1984. All 261 eligible islanders participated in the vote, including the members of the Clunies-Ross family who remained on the islands. 229 voters supported integration with Australia, 21 voted for free association, 9 for full independence, and 2 abstained.